Twice the Dice—Twice as Nice! 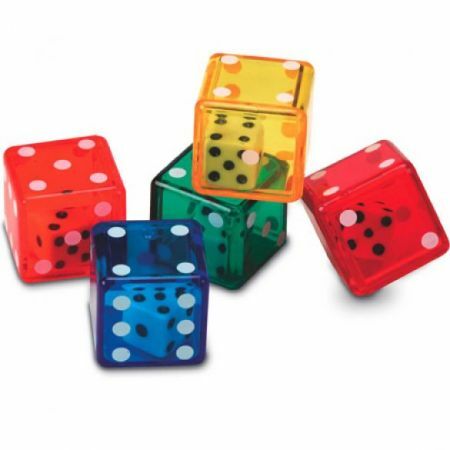 Use these double dice to teach probability, predict numerical outcomes and track the statistical results of repeated rolls. Each brightly colored, translucent outer die holds a single, smaller, white die inside. Twice the dice means twice the math—and twice the learning!